Getting that spot on festival look can be hard, as with me I find myself struggling to stop with the glitter and go so OTT I don't really have a look. The lovely Belinda at 'The Painted Lady' Invited myself and my gorge pal Jess to the salon, and get all festival ready with Lipcote. 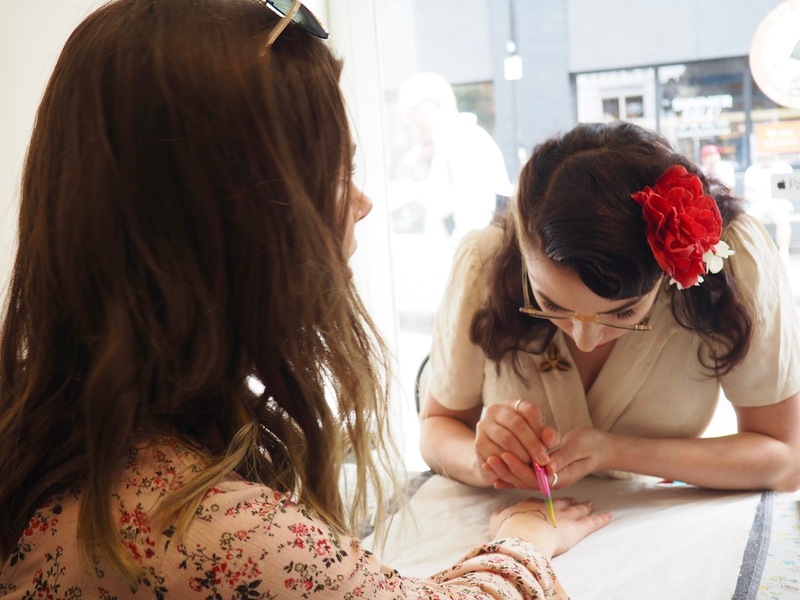 I started my festival makeover by getting my first ever henna done (yep I'm not joking, my first ever henna experience). Henna can add a really nice touch to your festival get it. 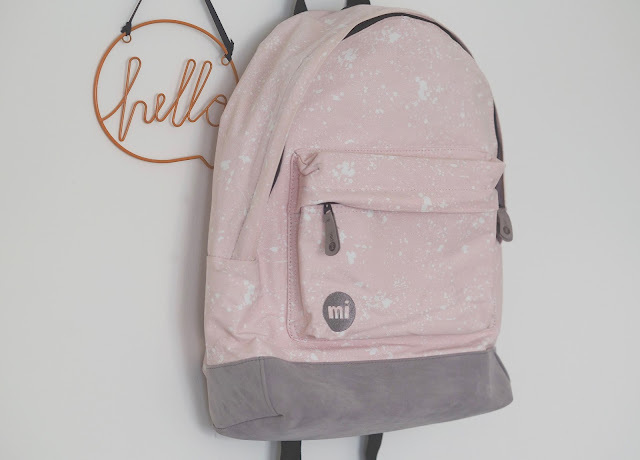 There's just something about it that looks cool and is a really pretty added detail to an outfit, and I'm now a huge fan. 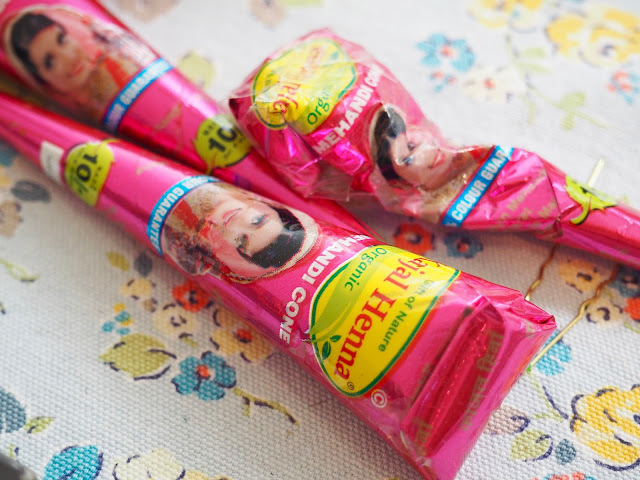 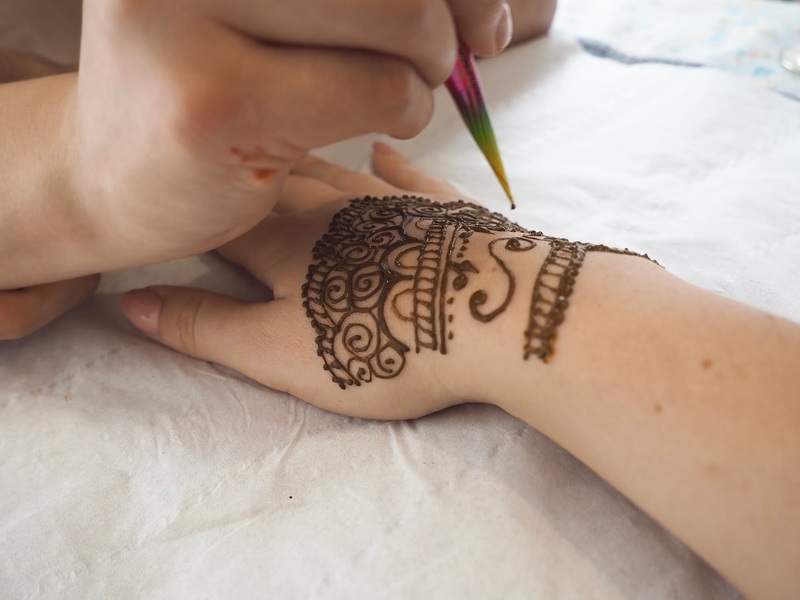 Your henna will last roughly a week depending on how much you wash your hands and use hand cream etc. 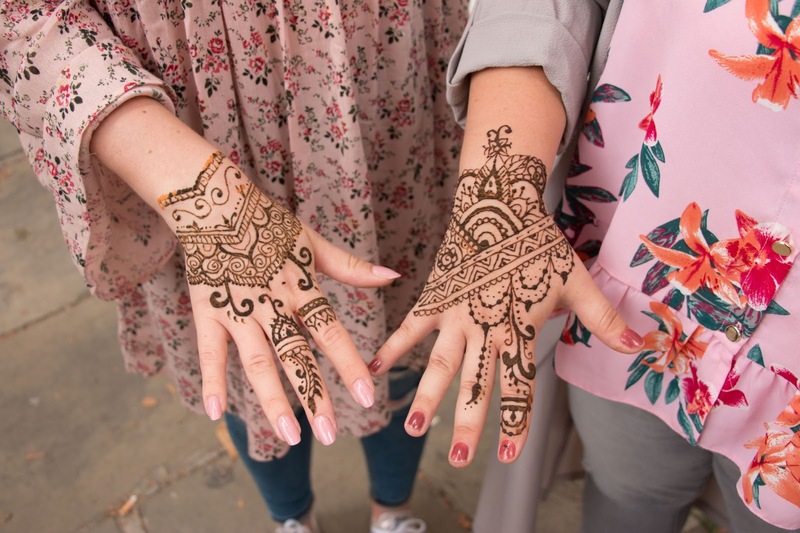 If you're not an accessory kind of person, henna is perfect to style up your outfit. 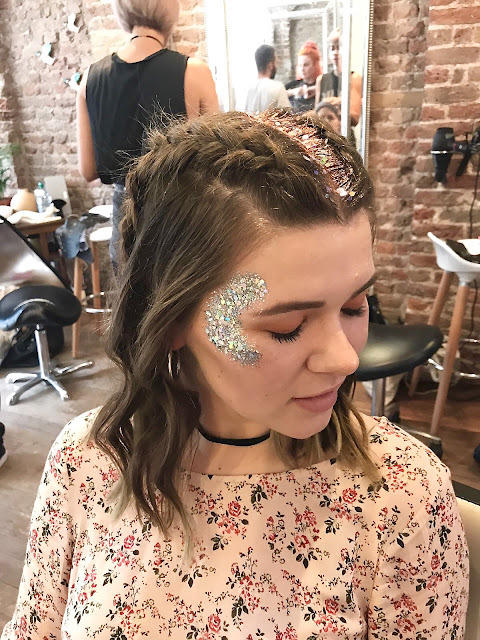 My next stop was the glitter (and in my eyes, the best part of any festival look). People are so much more adventurous with how they used glitter, creating looks with glitter lips, on the face, body and hair! 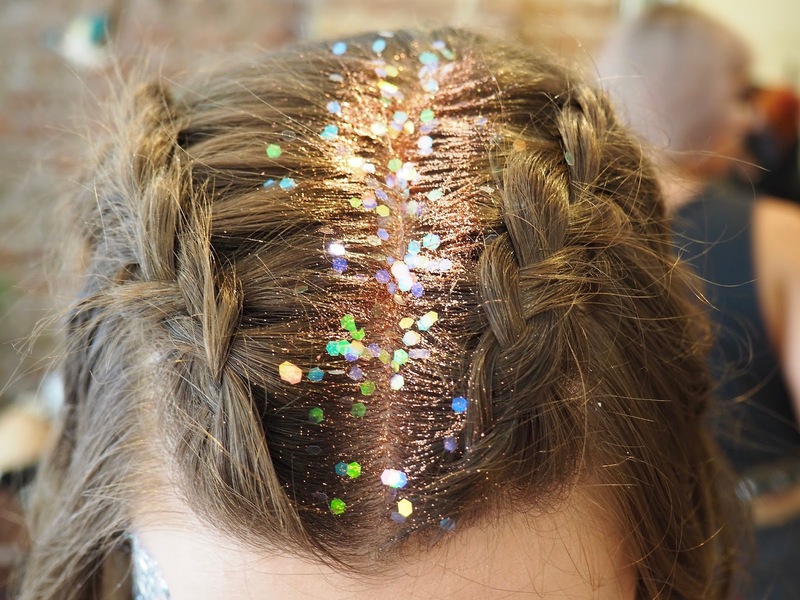 I wanted to let the stylist go with her artistic feels and do whatever she thought would look good. The only request I had was to have some of my hair down, and look an how V cute my look was!! 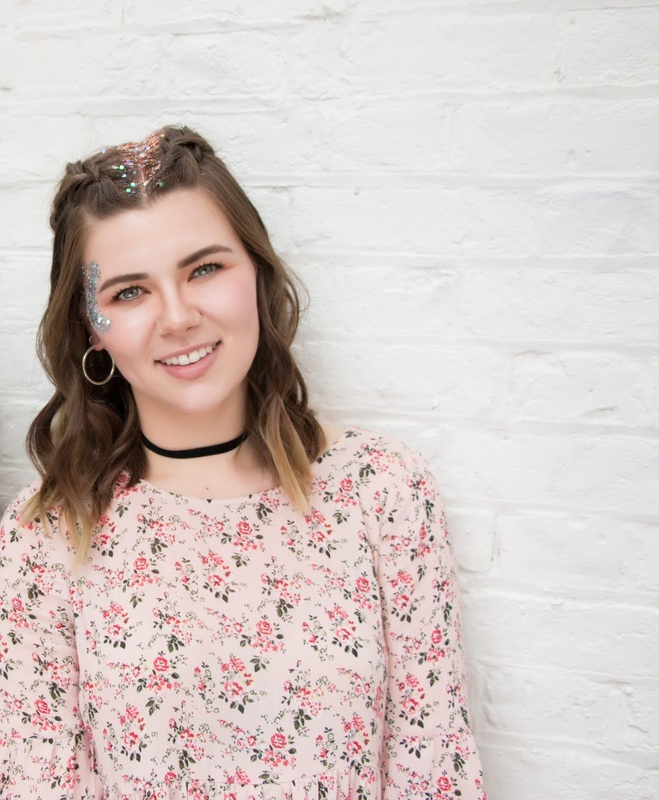 Excuse the fact that I kind of look drunk, but this is the best photo I have to show you the glitter and hair together. 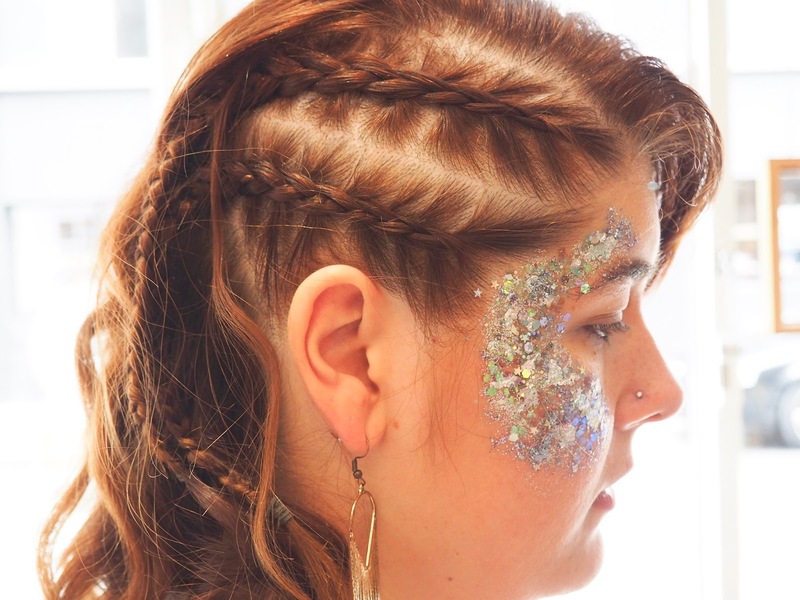 The braids are so wearable, and are great to add any day not just at a festival. 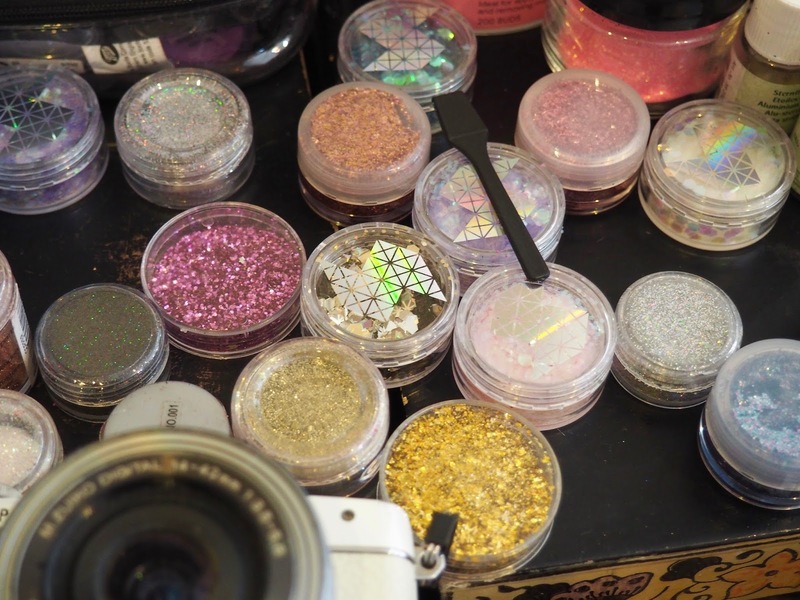 Buy putting a load of copper glitter in the parting, it jazzes it up to fit in the festival spirit and went well with my eyeshadow. 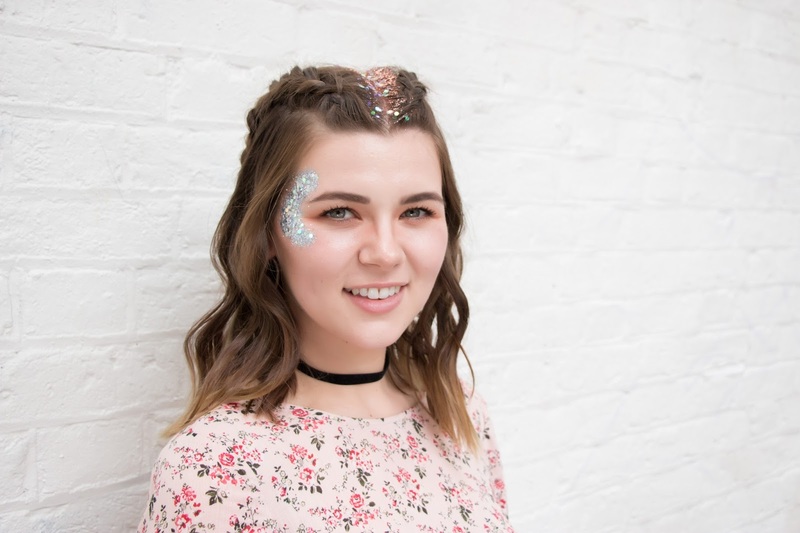 I loved the fact my face glitter was silver and added a bit of contrast between my face and hair, giving me a special sparkly look. 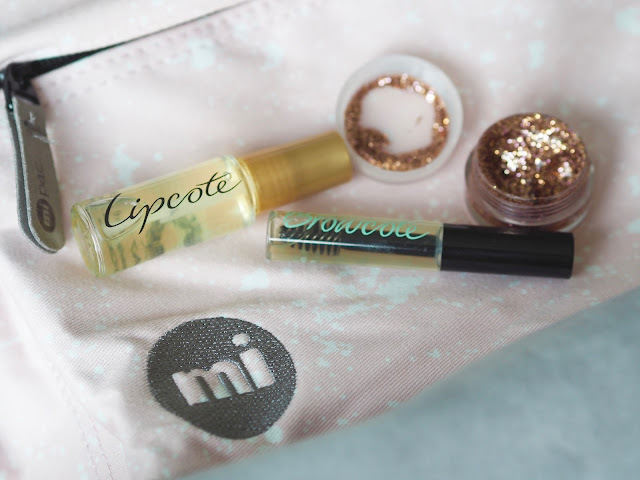 We were lucky enough to be gifted a Lipcopte and Browcote to take away with us and make sure from now on, our festival looks are locked down and not moving anywhere. 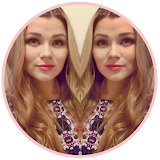 Having been a Lipcote avid user for a few years I knew how good it was, but now theres the same but for brows I was seriously happy. 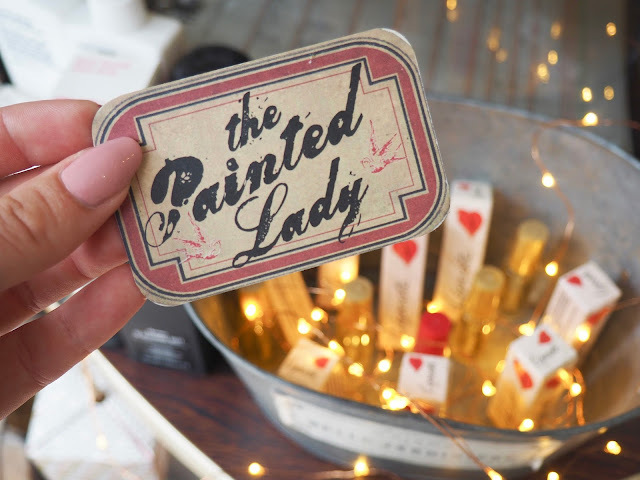 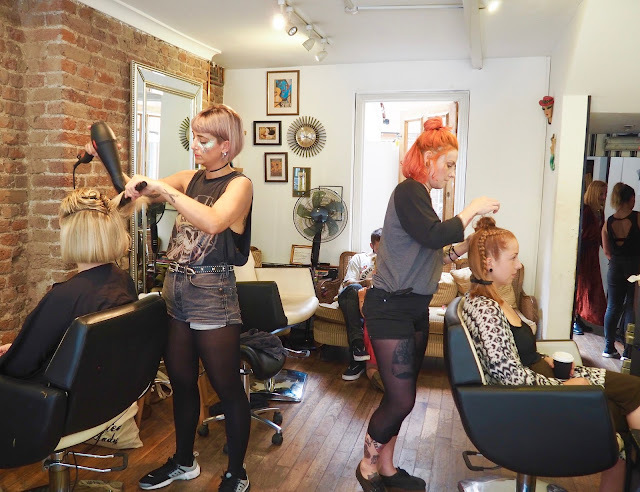 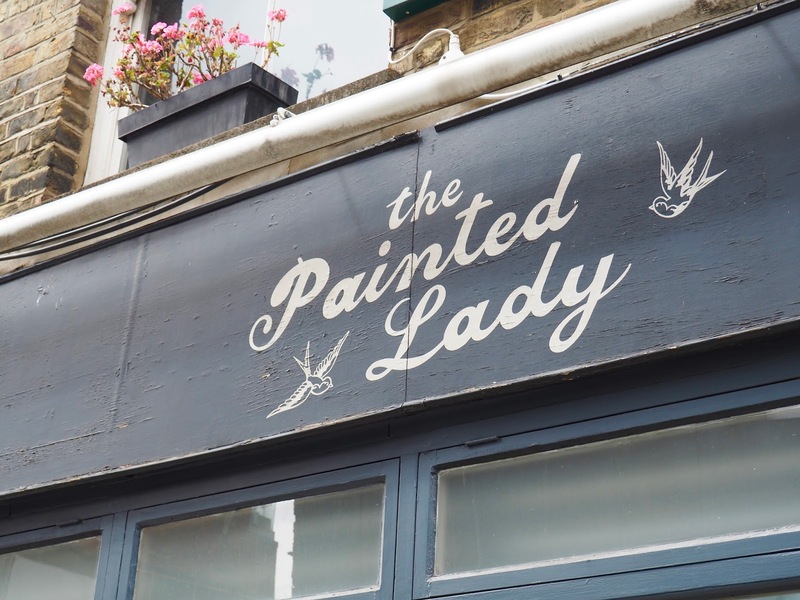 The salon The Painted Lady can be found in Shoreditch and offers a range of different services, and is super cute with the friendliest staff members is a cool and quirky part of town. And to top off the brilliant time I had, I walked away with such an awesome goodie bag which included Lipcote, Browcote, Jaide Ralph glitter and the Mi Bag itself. 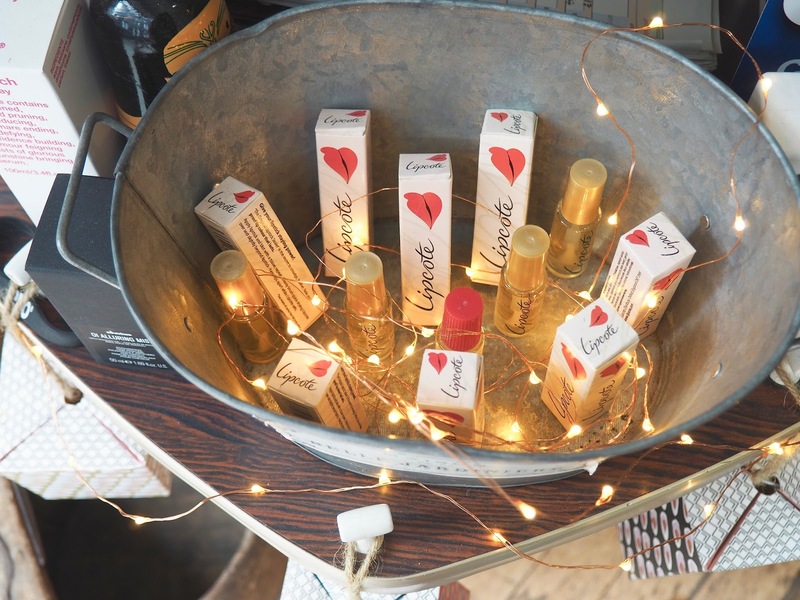 Let me know if you've tried Lipcote or Browcote!